It’s Friday, March 28th, 2019 and welcome to Episode 222 of TechTalk4Teachers, I’m Tom Grissom and I'm Brian Poulter. Welcome to TechTalk4Teachers the show about teaching and learning with technology. In this episode Brian and I discuss the approaching end of the semester and what we can do as teachers to help students finish strong. We also have a Technology Pick of the Week and several recommendations for podcast listeners. That wraps it up for Episode 222 of TechTalk4Teachers. For show notes please visit eiu.edu/itc and click on the TechTalk4Teachers link. Until next time, this is Tom Grissom and Brian Poulter. Keep on Learning! It’s Thursday, February 28th, 2019 and welcome to Episode 221 of TechTalk4Teachers, I’m Tom Grissom and I'm Jeff Duck. Welcome to TechTalk4Teachers the show about teaching and learning with technology. 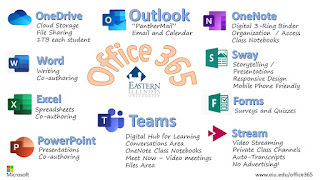 In this episode Jeff and I discuss a recent talk I gave to his class of freshmen and transfer students covering the many technologies available to all EIU students. We also have a Technology Pick of the Week. That wraps it up for Episode 221 of TechTalk4Teachers. For show notes please visit eiu.edu/itc and click on the TechTalk4Teachers link. Until next time, this is Tom Grissom and Jeff Duck. Keep on Learning! It’s Thursday, January 31st, 2019 and welcome to Episode 220 of TechTalk4Teachers, I’m Tom Grissom. Welcome to TechTalk4Teachers the show about teaching and learning with technology. In this episode I discuss some of the beginning of the semester questions and issues teachers face at the start of a new semester. I also have a Technology Pick of the Week related to creating informal instructional videos. That wraps it up for Episode 220 of TechTalk4Teachers. 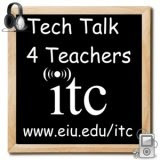 For show notes please visit eiu.edu/itc and click on the TechTalk4Teachers link. Until next time, this is Tom Grissom. Keep on Learning! It’s Monday, December 31st, 2018 and welcome to Episode 219 of TechTalk4Teachers, I’m Tom Grissom. Welcome to TechTalk4Teachers the show about teaching and learning with technology. In this episode I discuss the Top Ten Things to do at the Instructional Technology Center. I also have a Technology Pick of the Week related to classroom technology. That wraps it up for Episode 219 of TechTalk4Teachers. For show notes please visit eiu.edu/itc and click on the TechTalk4Teachers link. Until next time, this is Tom Grissom. Keep on Learning! It’s Friday, November 30th, 2018 and welcome to Episode 218 of TechTalk4Teachers, I’m Tom Grissom, and I'm Danielle Beamon. Welcome to TechTalk4Teachers the show about teaching and learning with technology. In this episode Danielle and I discuss the end of semester wrap up and traditions of the ITC. We also have our Technology Picks of the Week. Why aren't schools using the apps they pay for? That wraps it up for Episode 218 of TechTalk4Teachers. For show notes please visit eiu.edu/itc and click on the TechTalk4Teachers link. Until next time, this is Tom Grissom, and I'm Danielle Beamon. Keep on Learning! It’s Tuesday, October 30th, 2018 and welcome to Episode 217 of TechTalk4Teachers, I’m Tom Grissom, I'm Brian Poulter, it's Halloween eve. Welcome to TechTalk4Teachers the show about teaching and learning with technology. In this episode Brian and I discuss an article he recently published about how he brings real-world projects into his photojournalism classroom and empowers students to get better using a project-based approach. We also have our Technology Picks of the Week. That wraps it up for Episode 217 of TechTalk4Teachers. For show notes please visit eiu.edu/itc and click on the TechTalk4Teachers link. Until next time, this is Tom Grissom, and I'm Brian Poulter. Keep on Learning! It’s Friday, September 28th, 2018 and welcome to Episode 216 of TechTalk4Teachers, I’m Tom Grissom and I'm Danielle Beamon. Welcome to TechTalk4Teachers the show about teaching and learning with technology. In this episode Danielle Beamon and I discuss some of the decisions students make when creating a OneNote Notebook. We also have four Technology Picks of the Week. That wraps it up for Episode 216 of TechTalk4Teachers. For show notes please visit eiu.edu/itc and click on the TechTalk4Teachers link. Until next time, this is Tom Grissom, and I'm Danielle Beamon. Keep on Learning!